At lunchtime on Thursday 4 June, groups of suited men knocked back shots of whiskey at Newmarket’s Teeling Whiskey Distillery, the latest tourist attraction in the Liberties area of Dublin. Due to open to the public later this month, visitors were greeted by both a whiff of paint and a polite member of staff, who was in charge of opening the door. A wide, wooden reception desk hosted a pile of itineraries for the event and rows of name badges: at a glance, the names of local politicians and entrepreneurs, like the phone book of a well-connected businessman. 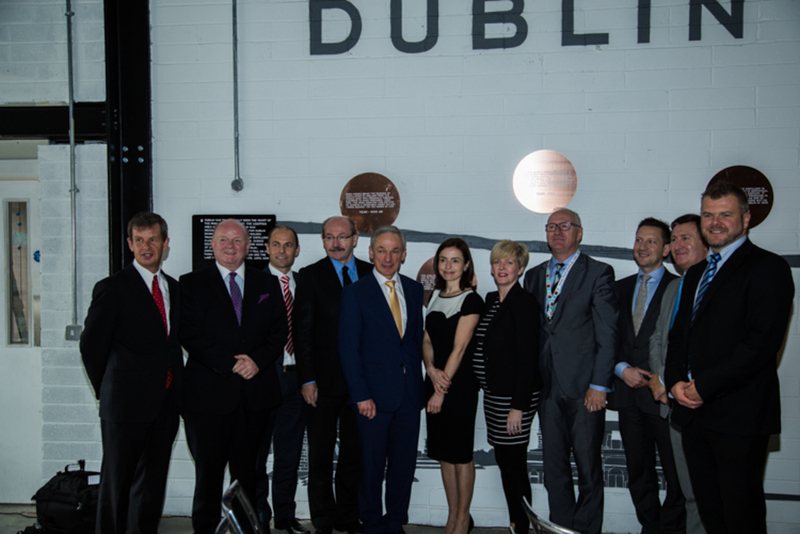 The Liberties Business Forum, an association for local business managers and traders, organised this networking event with the support of Dublin City Council, but little involvement from Liberties-area locals. On the agenda: developing the neighbourhood. Nearly €1 billion in public and private sector investment is planned over the next few years in the area, with projects like the National Paediatric Hospital at St James’ Hospital, Brewhouse 4 at Guinness and new student accommodation. There are also smaller projects, like local parks, green spaces and the Dubline tourist trail, which is scheduled to be launched September. Stands from the Digital Hub, Dublin City Council, Guinness and Teeling, amongst others line the off-white and grey walls of the ground floor. The council has even taken this opportunity to try to sell some land on Thomas Street. The professionally dressed men and women networked until the locally sourced scones, pastries, whiskey cakes and loose-leaf tea ran low. Investors, TDs and councillors took their seats; speakers on the stage included prominent business people and the Minister for Jobs, Enterprise and Innovation Richard Bruton. 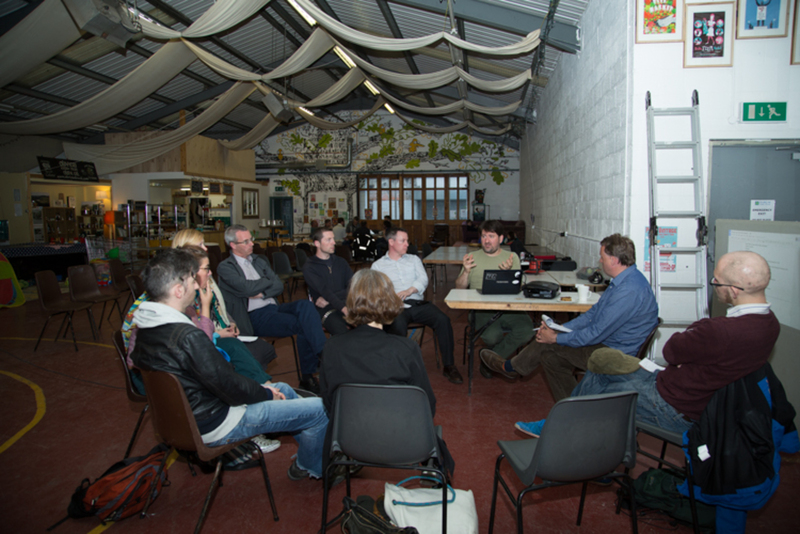 They all spoke of the “renaissance” happening in the Liberties and discussed their hopes for the area. Leading the speakers was Frances Ruane of the Economic and Social Research Institute (ESRI), who said that the council was finally getting its act together with regards to the area. She envisages the Liberties becoming an area like New York’s Meatpacking District, keeping its old structures and developing a “raw” edginess. The Teeling Distillery certainly fits in with this image, as its bare concrete floors produce footsteps that echo like in a warehouse and its ceiling displays wires and vents. 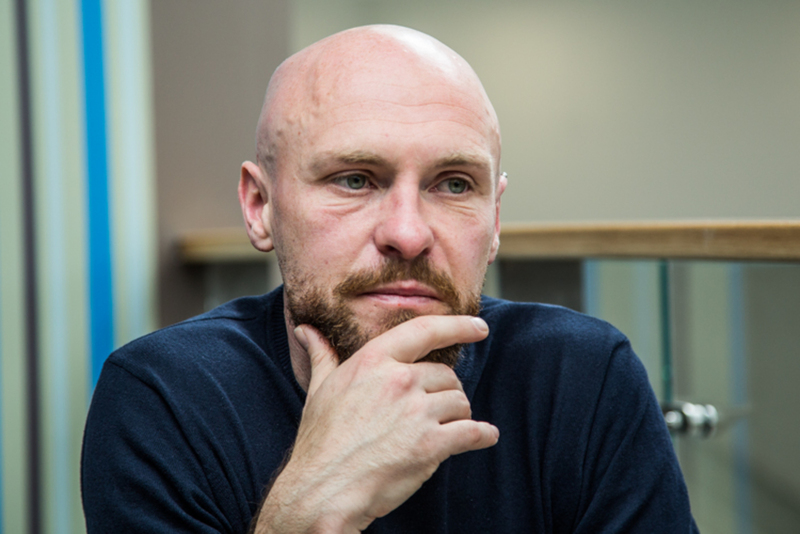 Shane Scully, director of Bennett, which is behind the construction of accommodation for about 500 students on the Digital Hub site, is planning for his next building venture to be apartments for families. He also said it is particularly important that derelict sites are in the hands of people who can develop them and believes the government’s new vacant-site levy, which will be introduced this year, will encourage the refurbishment of these sites. Paul Carty, from the Guinness Storehouse, said he would like to see one, if not two, good quality hotels built in the area, but businessmen are reluctant to invest at the moment, because the cost of building property is more expensive than buying existing housing stock. “The problem for a hotel of 300 rooms is that you can buy it cheaper than you can build it. Maybe we need to refurbish old buildings. Watch this space,” he laughed. Guinness is planning to work in conjunction with other businesses to develop a range of amenities on its remaining empty sites. Paul Carty said he would like to see a mix of offices, cafés, restaurants, hotels and stores developed on the land. He wants to see the area full of business during the day and culture at night, unlike the International Financial Services Centre (IFSC) which lacks life at night, he added. Guinness, or Diageo, are also working with the National College of Art and Design (NCAD) to develop the 64-year-old Rupert Guinness Theatre. Seating 300, it will be loaned to NCAD, which has 280 first-year students but only 100 seats in its largest lecture hall. NCAD Director Declan McGonagle said it didn’t take much to fix the theatre and bring it up to health-and-safety standards. He believes it will be usable for other things, such as plays, in the evenings and summers. Other speakers stressed the need to include the local community in the area’s development. Ann O’Dea, of Silicon Republic, wants to see more development in the area without alienating the local people. 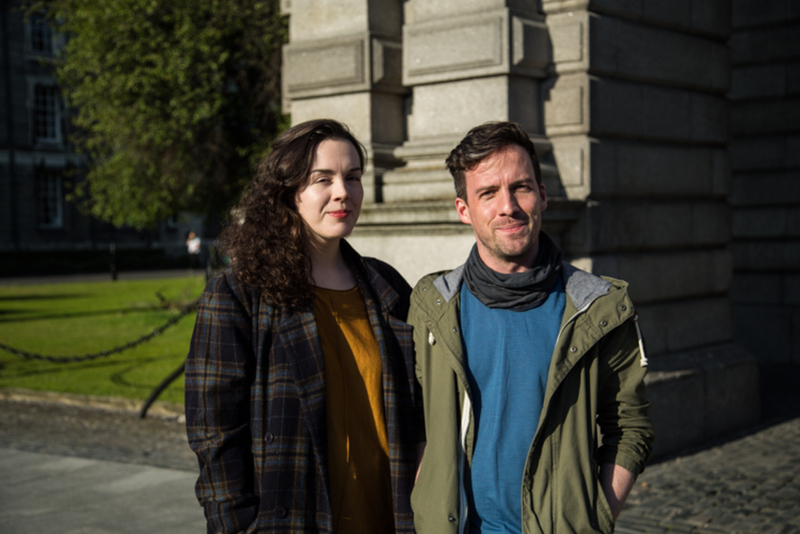 “We don’t want to go down the San Francisco route; it’s the oldest part of Dublin,” she said. It was noticeable, however, that there were very few representatives from the local community. 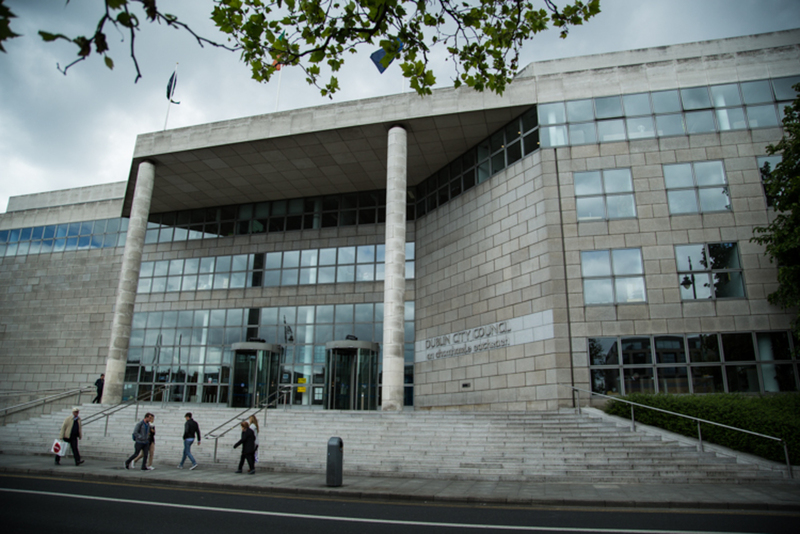 When the council manager invited Dublin South-Central councillors to the event at last month’s committee meeting, some expressed their disappointment that they hadn’t been involved at an earlier stage. Stephen Coyne of the Liberties Business Forum defended the lack of local residents at the event by pointing out that many of the forum’s members live in the neighbourhood. “We have the same needs: an area that’s clean, safe and a good place to go,” he said. He doesn’t know if the forum will include councillors or residents more in the future. Joe Zefran, board member of the Dublin Food Co-op, which is beside Teeling Distillery, sits near the front of the room, shaking his head throughout the discussions. He has not been invited to take part in the forum, though he would like to be. Wearing all green, he is one of the few men not suited up. He thinks everything that was discussed is “scary” and is worried that plans for the area will exclude the residents, saying the Meatpacking District of New York has become exclusive. “I’ve seen these types of developments in LA and New York, and they turned out over-gentrified,” he said. If rents start to rise, he’s worried about whether the Dublin Food Co-op will be able to stay.